Tom Heston: Normal Tc99m pertechnetate thyroid scan. 10mCi 30 min delay. 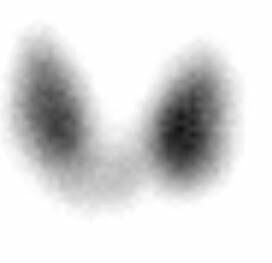 Normal Tc99m pertechnetate thyroid scan. 10mCi 30 min delay.